When a collector trap, or for that matter any collectible item, reaches a high enough price, fakes may appear. Call it creative engineering, if you like, but the novice collector often pays the price, and getting burned like that may be discouragement enough to end one’s interest altogether. The top photo shows what appears to be a No. 3-1/2 Newhouse with clutches; yet this trap was never made with clutches. Someone filed the post that holds the jaws to give it the extra width to accept the clutches. The Victor No. 0 in the middle with hand-stamped VICTOR on each jaw is not original, either. The stamping is uneven, and there is no written record or other verification that such a No. 0 ever was made by the company. The No. 3 Newhouse at the bottom appears to have the rare wavy jaws. However, the jaws weren’t cast that way; someone ground the waves into regular jaws. Cooper Double Clutch with a set of clutches removed to fake a rare single-clutch; Diamond Walloper rare single-jaw faked with jaws from another trap; Harmon’s Live Bait trap with original cage replaced; Herter’s 41AX with No. 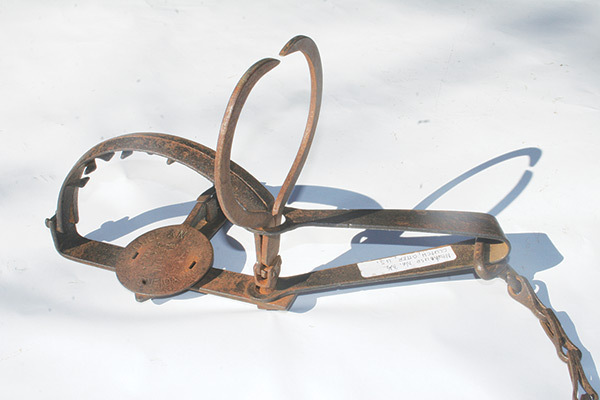 6 Newhouse pan (check the teeth; Herter’s are more rounded); No. 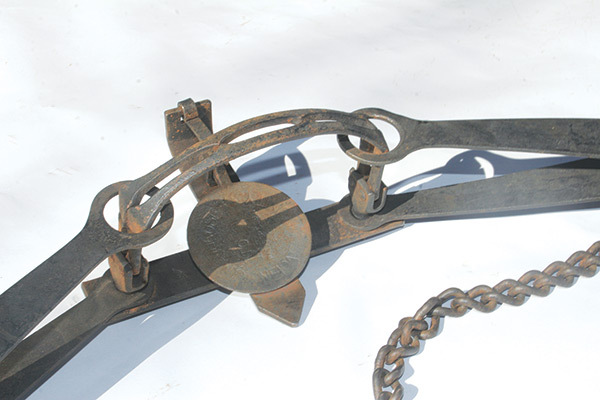 4-1/2 Newhouse Kenwood with reproduction of original four-prong drag; No. 23 or No. 24 Newhouse with reproduced clutches. As collectors in general have grown more savvy, such fakery has declined. Most of the examples cited here were made up years ago, though individual examples may just now be surfacing. 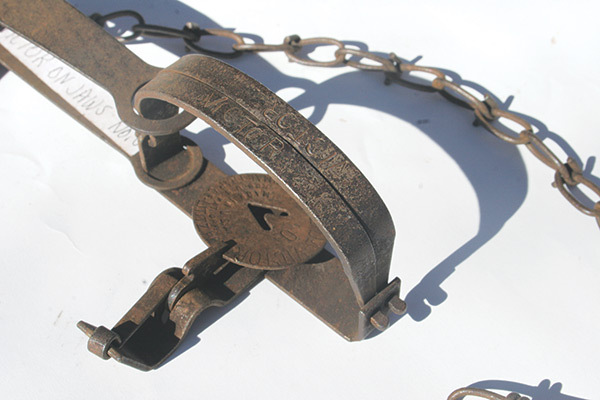 Fact is, a lot of misrepresented traps may be in unsuspecting collector hands. Sometimes the deception doesn’t come to light until a collector passes away and his estate is sold to other collectors. Legitimate reproduction traps are another story. Bear traps like the Denali, Duke, Grizzly Bear, Herter’s 41AX, Junction Trader, Kodiak, Mackenzie District, Newhouse bears traps (made by Oneida Victor Trap, Co., Cleveland, Ohio), the Abbey-type trap produced by Michel LeBlanc of Canada, and the series of traps produced by Ed Hutzel of Pennsylvania are all well made, valuable, and collectible in their own right. It is only a problem when someone lets one of these traps rust and tries to sell it as an original. Yes, honest mistakes are made. But buyer beware. If you are at all unsure about any trap with a high price-tag, consult a knowledgeable collector before you get burned. Books and other resources are readily available to verify genuine collector traps.